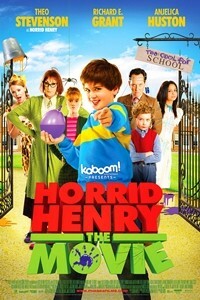 Horrid Henry: The Movie | Style Weekly - Richmond, VA local news, arts, and events. When Henry fails yet again to hand in his homework, he inadvertently sets off an unexpected and curious chain of events. He forms an unlikely alliance with Moody Margaret, the infuriating girl next door, outwits corrupt School Inspectors, topples an evil Headmaster, wins a talent contest, and stands up to his ultimate nemesis. With each antic crazier than the last, Henry finds himself inexplicably trying to save the very school which he has always professed to hate.